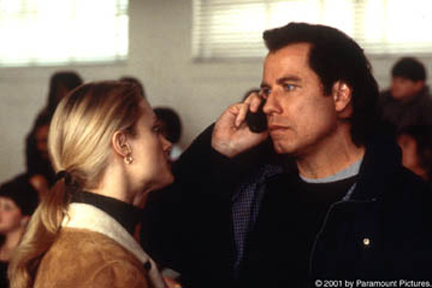 Frank Morrison (John Travolta) no longer lives with his ex-wife, Susan (Teri Polo), and 12-year-old son, Danny (Matt OLeary). Susan and Danny now live with Rick Barnes (Vince Vaughn), Susans new husband. Danny, who has a reputation for telling lies, has accused his stepfather of committing a murder. But Frank is the only one who believes him. Now the father Danny trusts must protect him from the stepfather he fears.